Produced by E.W. 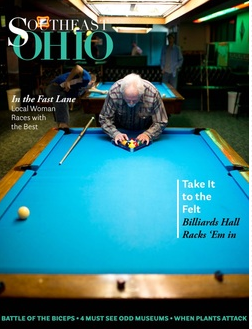 Scripps School of Journalism students at Ohio University, Southeast Ohio is a regional magazine that covers 20 counties. The publication also holds the honor of being the only regional magazine in the country produced solely by students. I worked as a general staff member as well as a designer for the publication.